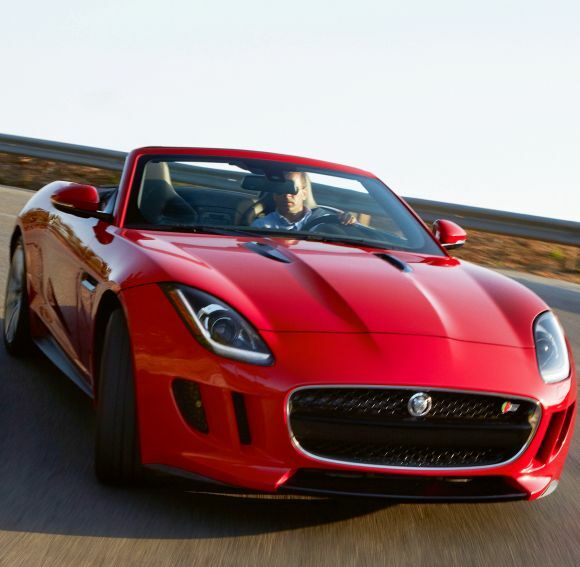 It’s been 39 years since a roadster has driven out from the Jaguar headquarters in Coventry, United Kingdom, and the F-Type’s stunning contours confirm it has been worth the wait. I could live and happily die with the sort of attention that was showered on me on the roads because I was behind the steering wheel of this stunner. Surely, if I was walking the red carpet with Rosie Huntington on my arm, I would experience the same ecstasy. This low-slung two-seater calmly rested in the drive, coiled for action, as I nervously opened the door to climb inside. Getting into the seat was a bit of challenge, but then what do you expect - it’s a sports car, not a tall-boy hatchback. Before I could fasten the seat belt and snuggle into the comfortable leather upholstery, there were two teenagers knocking on the window and wanting permission to take photos of the car. Without any starry tantrums, I obliged. Then I pressed the ignition start button and the 5,000cc V8 engine growled loudly, indicating that it had woken up from its siesta. I am not going to get into the looks of the car as the photos clearly indicate how it will require poetry rather than prosaic phrases to do them justice. 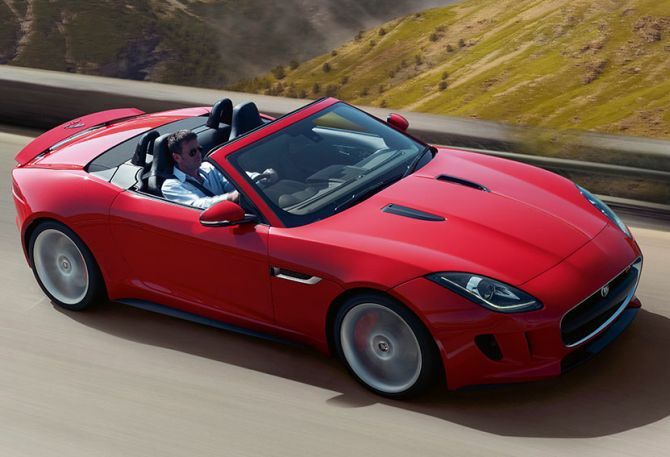 The F-Type doesn’t have to try hard to impress. Class is stamped into its very being - right from the absence of pseudo-wood panels or plastics to the sporty black matte-and-chrome finish. The double-stitched leather upholstery makes you feel like you are nestled in the lap of luxury. Everything about the interiors is designed around the driver, as it should be. A clever grab rail is incorporated for the passenger’s right hand, which also cordons off the centre console. 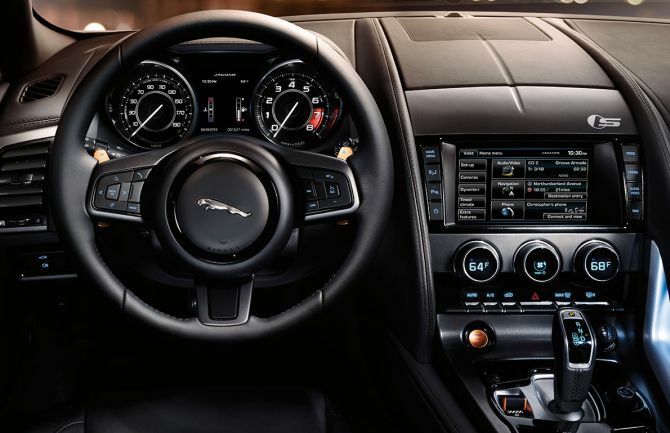 The idea of taking this magnificent car into chaotic traffic gave me the shivers, but there was no better way to find out how the F-Type behaved in real-time conditions. What is a big surprise is that the car isn’t as low it seems, and never once did the floor scrape the tarmac. The driving position was also not compromised. You got a good view of the road and scoping out potholes was an easy task, but, yes, you got dwarfed by almost all the cars on the road. Going over a ditch was inevitable, and I confess I held my breath as I waited for a rude thud. 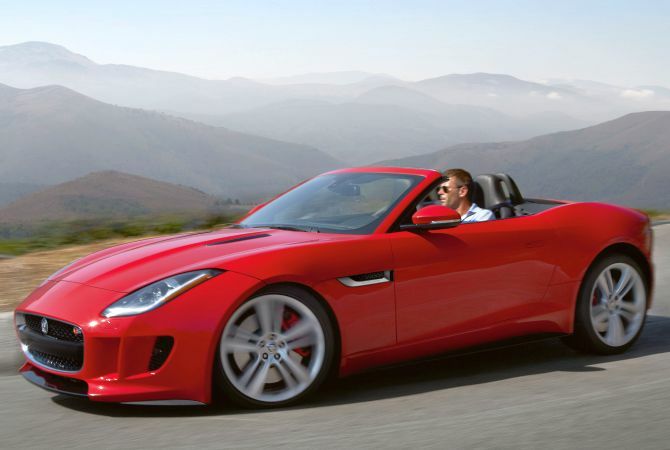 To my surprise, the F-Type moseyed along like a normal car unlike most tight-sprung two-seaters. Through the drive across the capital, this big fella was at ease, negotiating the lanes without a demur even at an insulting 50 kmph. Amazingly, not once did I feel I had caged the mighty V8 engine, neither was there an impatient burst of power. It was completely in my control, proving how versatile this turbo-charged engine is. Out of traffic and on the 6-lane expressway that had no soul in sight, I stepped on the gas. The Jag sprinted ahead joyfully, its true self finally at abandon. The power is linear so it didn’t push me back - within a flash, the speedometer’s needle was coasting over 200 kmph. I slowly eased my foot off the pedal and let my heartbeat slow down. 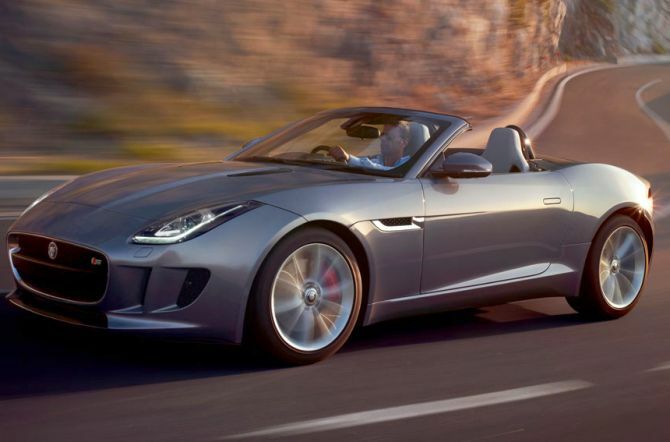 Speed might be in its genes, but it is not the only attribute that makes the F-Type a must-buy for those with a Gucci wallet. 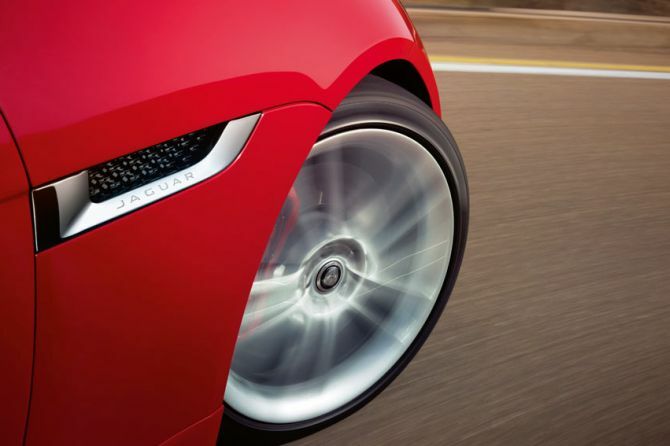 Because it has an all-aluminium chassis, the Jaguar is not only light but also razor sharp in the handling department. It is also so well-planted on the macadam that at times you actually wonder if the wheels are glued to the road. 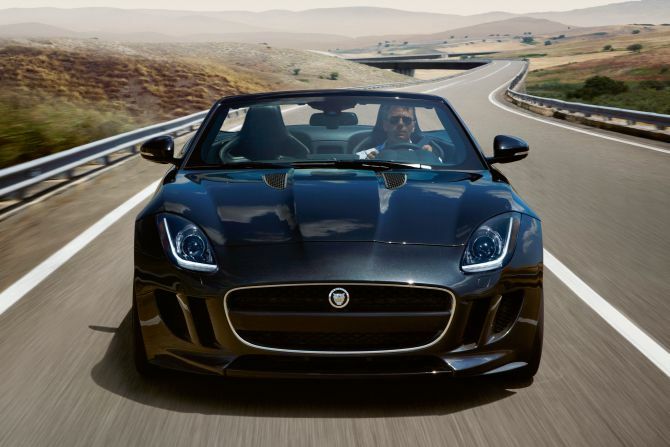 The Jaguar F-Type is a one-of-a-kind car that comes with power, good handling and celebrity status. 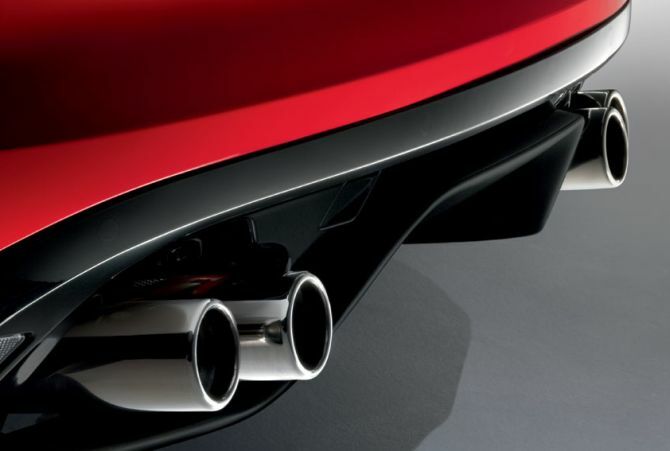 The design makes it distinctive and the double twin exhausts ensure the V8’s symphony is audible. 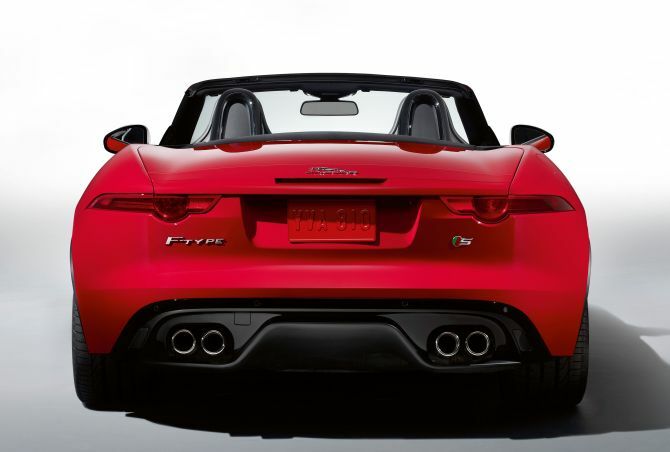 If the weather permits, then within 15 seconds, the roof disappears to transform it into a gorgeous convertible. 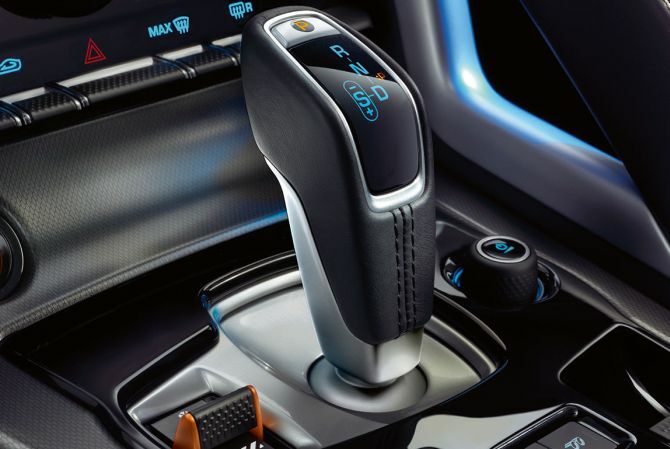 The magic lies in the 8-speed ZF automatic transmission. It changes gear lightning fast when you push the pedal to the metal, but at the same time it keeps the engine at ease in crawling speed. It is, quite simply, a masterpiece. I apologise if I sound breathless. 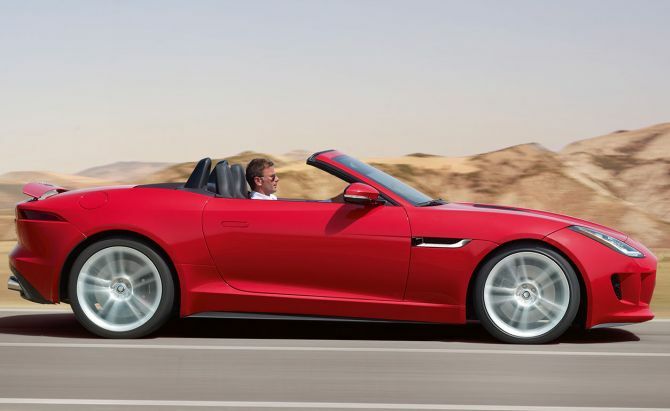 The F-Type does that to you even if you are a professional car reviewer.